The Christchurch Earthquake Appeal Trust has today announced $14 million of funding for the Christchurch Arts Centre, to be used towards the rebuild of the Clock Tower and the Great Hall. A new BMX track in Kaiapoi and a youth development programme are among the first 48 recipients of the $4 million Vodafone Foundation Canterbury Fund, announced in Christchurch today. 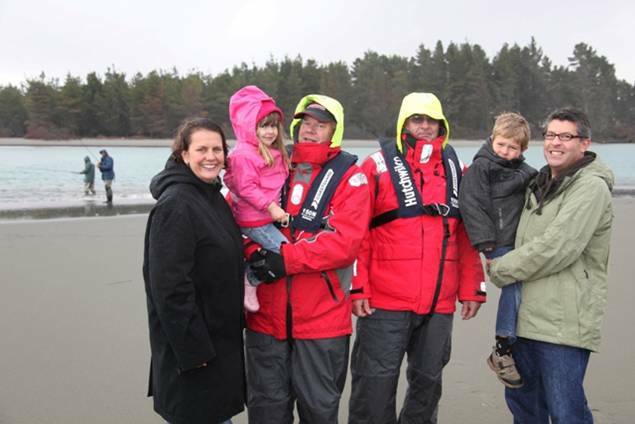 The announcement list comes two months after launching the Canterbury Fund, a joint initiative between the Vodafone Foundation and the Christchurch Earthquake Appeal Trust to help rebuild Christchurch communities, places and services. The Christchurch Earthquake Appeal Trust has today announced $200,000 in support payments for Christchurch families over the holiday season. The Christchurch Earthquake Appeal Trust has announced funding of $120,000 for the Canterbury Business Association (CBA) to provide a programme of training and mentoring services to quake-hit ethnic businesses in Canterbury. A financial decision guide for Canterbury red zone residents has been launched by the Commission for Financial Literacy and Retirement Income (formerly known as the Retirement Commission) today. 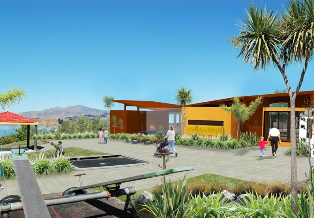 The Commission has been funded by the Christchurch Earthquake Appeal Trust to develop the tailored information for red zone residents who have received offers from CERA, on behalf of the Government, to buy their house and land. The latest announcements from the Christchurch Earthquake Appeal Trust (the Trust) support a range of initiatives for children in Christchurch – from school uniforms to study centres and hardship assistance. The Christchurch Earthquake Appeal Trust has today announced funding of $2.5 million towards the Court Theatre’s fundraising campaign to build a new theatre in Addington. The Christchurch Earthquake Appeal Trust has announced funding of $1 million towards the Westpac Business and Community Hub (the Westpac Hub), which was formally launched in Addington today. The Christchurch Earthquake Appeal Trust has announced an interest-free loan of $3.36 million to the Restart the Heart Trust to establish retail hubs in re-locatable shipping containers in the centre of Christchurch. The Christchurch Earthquake Appeal Trust has announced funding of $50,000 towards the preliminary costs of a feasibility study into a temporary ChristChurch Cathedral (Anglican) in the city. The Christchurch Earthquake Appeal Trust has donated $554,000 to help deliver programmes of sport, recreation, leadership, dance, and music activities for young people affected by the Canterbury earthquakes. 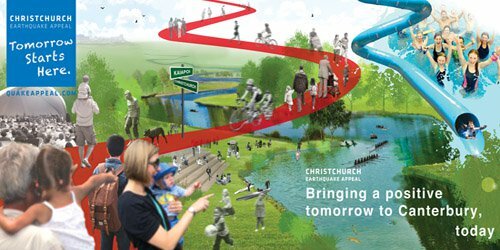 The Christchurch Earthquake Appeal has now reached over $73 million and has made its first allocation of funds, providing $3.5 million to help restore the city's playing fields, in particluar in time for winter sport for school aged kids.